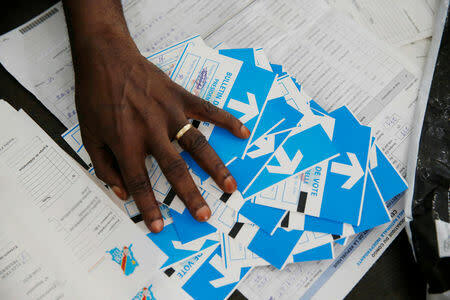 The AU said it would send a delegation to Congo to seek "a way out of the post-electoral crisis". The mission, expected in Kinshasa on Monday, will include Rwandan President and AU chair Paul Kagame, Moussa Faki, chairman of the AU Commission, and other heads of state. Kabila and Tshisekedi's camps have denied striking a backroom deal and accusations of fraud. "I ask you to not give in to provocation, to avoid anything that could divide us or break down national cohesion," he said. "Nobody can deny the people their victory." Kabila's aides and the electoral commission president denied this. Congo, a vast country of 80 million people sprawling across central Africa, is the world's leading miner of cobalt, used in electric car batteries and mobile phones, and Africa's biggest copper producer.